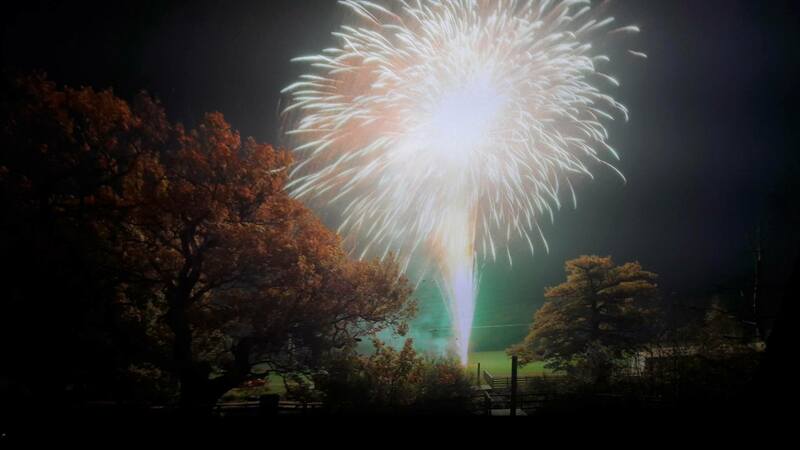 Solihull Fireworks supply fireworks for weddings and recently for Claire and Russell’s special day. After receiving the booking last year, our display team finally got to work their magic and fire the show in front of the happy couple and the rest of the wedding guests last weekend. From their very first enquiry, Claire had wanted to include some special requests into the design of the display. First of all, due to the hotels health and safety guidelines, the show had to be performed in a lower noise specification and to one of the couple’s favourite pieces of music – Take That’s “Rule the World”. 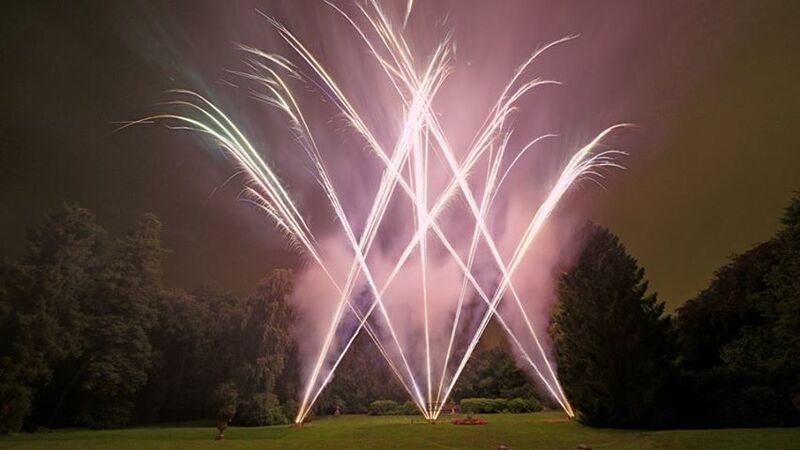 These fireworks for weddings are a popular choice for wedding fireworks and Pyro Musicals. Finally, chosen from our popular Display Extras range, Claire had asked for their initials C & R to be lit up surrounding a gorgeous, glowing red heart. Again to be fired near the start. 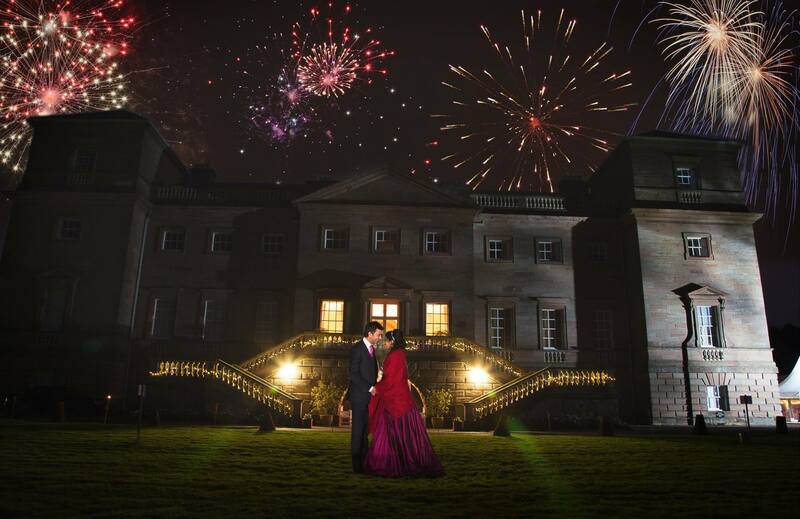 Once all ideas had been considered, the rest was down to our designers to create a stunning wedding fireworks visual that was going to thrill the bride and groom and all their loved ones watching. 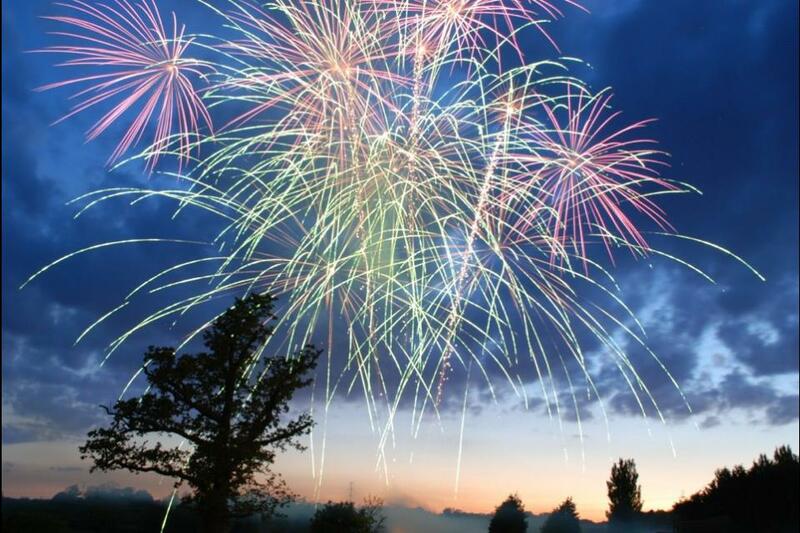 Our four man firing crew of Steve, Paul M, Matt and Chris arrived at the hotel’s stunning grounds early evening and started to rig up the fireworks in gorgeous sunshine and temperatures of nearly thirty degrees! The sequences were set up in five seats of fire and spread across the site to gain extra width and maximum viewing pleasure. As well as the hearts and initials, another star set piece was erected high, again to correspond with the lyrics of the song around half way through. As with all wedding fireworks, the display team and our sound engineer were set up in plenty of time for when the sun had finally set and the beautiful night sky was upon us. Once the newlyweds and all the guests were ready and waiting excitedly outside, we started the fireworks right on cue with the music. And what a start! The first effects which included all of the special requests fired perfectly, which set the tone for the rest of the Pyro Musical. The whole show flowed majestically and in particular the “star” set piece illuminated the dark back drop perfectly in time with the music. We received plenty of ooh’s and ahh’s throughout and once the breath taking finale of large multi shot barrages, huge fanned slices and gorgeous roman candles had slowly faded, the team received a massive round of applause. Our team was delighted with the result and when the wedding co-ordinater announced that the whole of the reception had thoroughly enjoyed it and Claire was overcome with tears, it provided the perfect end to another perfect day! This entry was posted in Uncategorized on July 13, 2013 by Rob Cotterell.